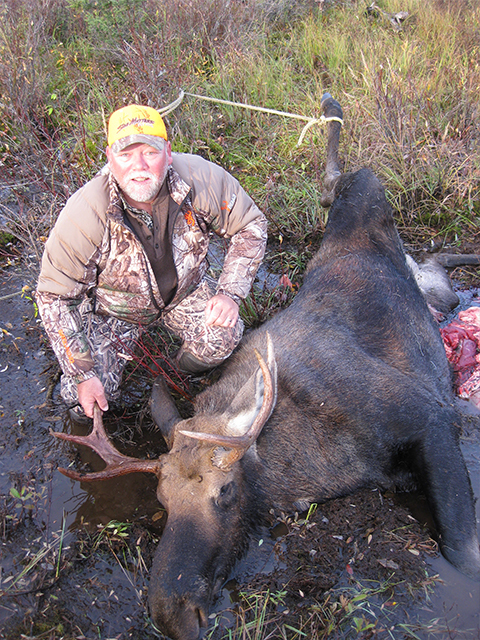 Moose hunting is excellent at Northern Lights Lodge. This is a fly-in hunt. 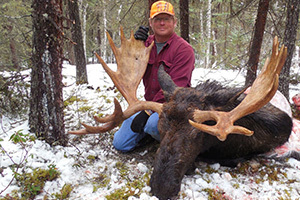 We have an exclusive hunt area, which is miles from any other hunters. 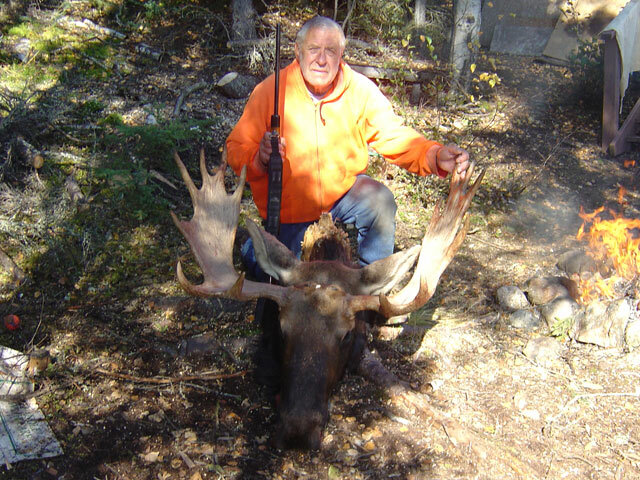 The Moose in our area have very large racks. We continue to have a very high success rate every year. 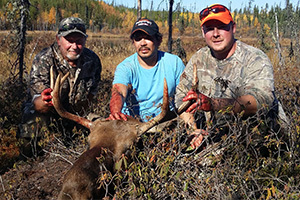 Our hunts are one guide to one hunter. 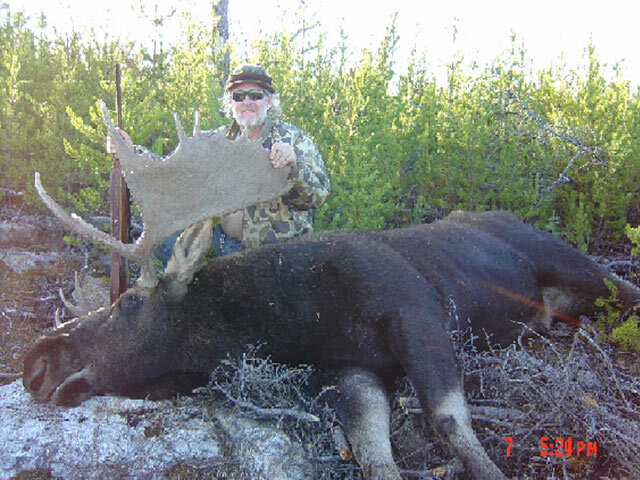 We are allotted 8 licenses per year but only do 4 hunts so we can achieve our high success rate and do not deplete our moose population in our area. 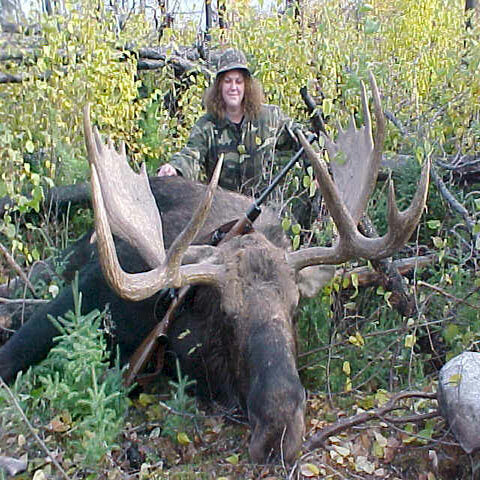 John and Lori will be in camp with you during your stay to ensure a quality hunt. 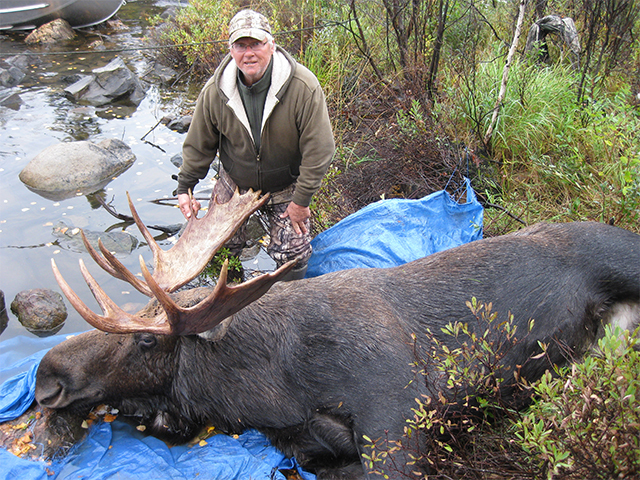 The trip includes the fabulous Lake Trout and Northern fishing we have at that time of the year. 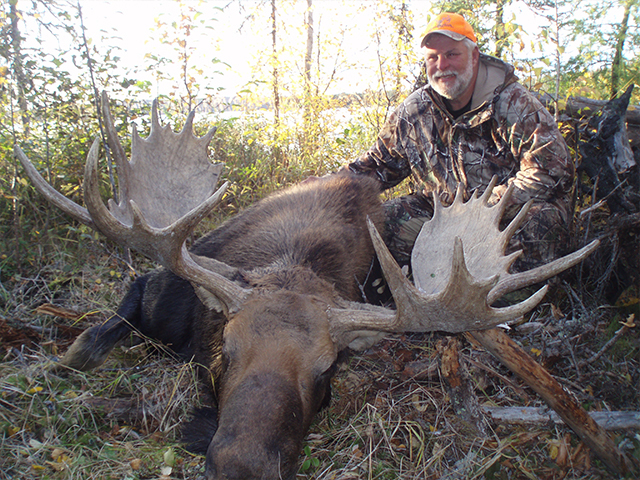 Your trip includes float plane flight to and from the lodge, guide, boat, motor, gas, fantastic home cooked meals, lodging (in cabins), and flying your entire Moose out. The season begins the middle of September each year. 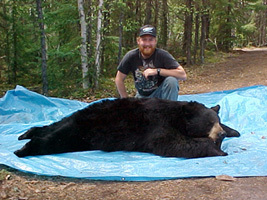 We offer guided spring black bear hunts. These packages also include our great fishing. If you have a friend that wants to participate, we can set up a fishing package for that person. 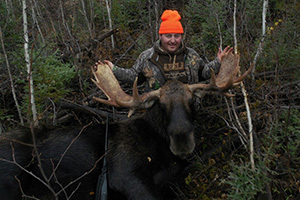 Come hunt one of the best areas allocated in northwest Manitoba. We have exclusive rights for these allocations. 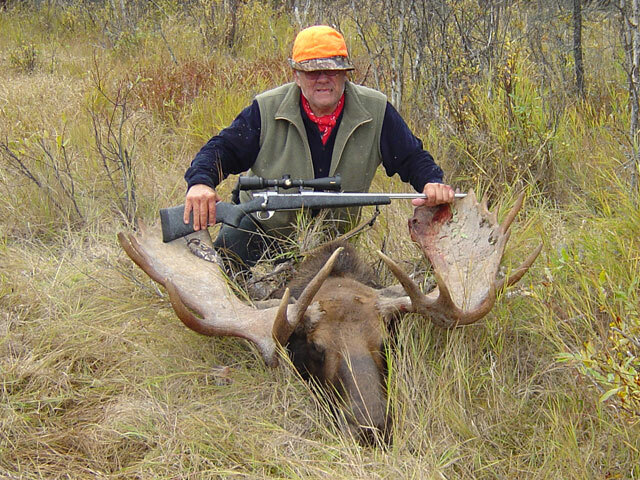 The bear in our area have received very little hunting pressure because of our vast remoteness. 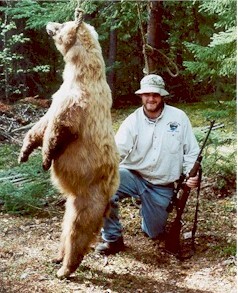 You will be amazed at the size of the bear in the area. 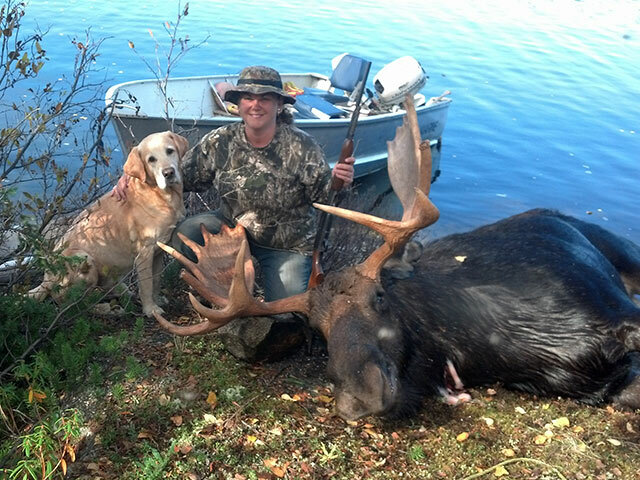 Way to go dad!! We have the different color phases of the black bear, including cinnamon, blonde, and chocolate brown. 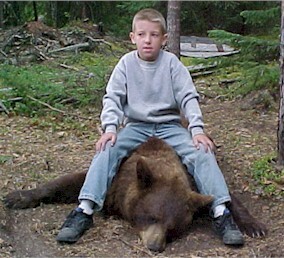 Our hunters have taken an average of 50% color phase bears. 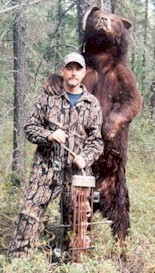 We have several bear stands designed just for bow hunters.